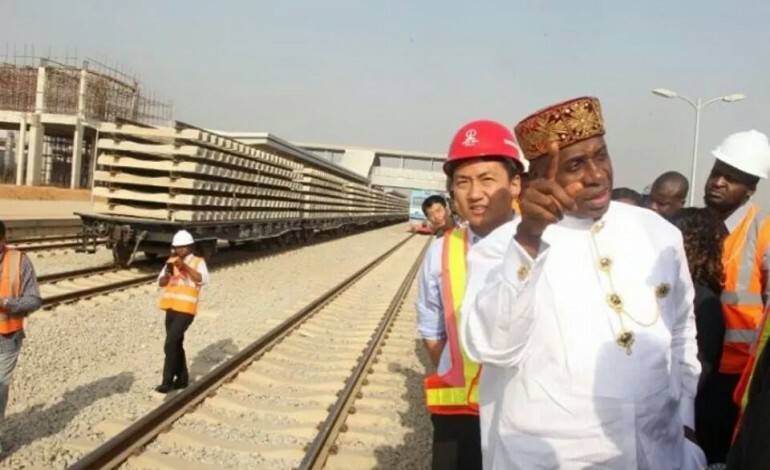 The recent revelation by Minister of Information, Alhaji Lai Mohammed, that the President has given him approvals to borrow $46 billion from Russian Exim Bank and an undisclosed amount from India to complete the railway project has raised fears of suffocating the future of the country with debts. This is more so, when the redflag by the International Monetary Fund (IMF) over increasing borrowings by sub-saharan Africa Central Banks is still fresh in the minds of Nigerians. Besides, the IMF also warned countries to also abstain from providing structural development financing because it can become riskier to financial stability. Details from IMF’s new Regional Economic Outlook for sub-Saharan Africa titled: ‘Time for a policy Reset’ showed that “Riising fiscal deficits and more costly external and domestic financing conditions are increasing macroeconomic vulnerabilities and, in some cases, impeding central banks’ pursuit of their primary objectives, such as price stability. IMF averred that “Central banks should limit the use of advances to government to the mitigation of short-term financing constraints and avoid easing commercial banks’ liquidity constraints with a view to facilitating lending to the government,” IMF director for African Department, Abebe Aemro Selassie, said while presenting the Regional Economic Outlook for sub-Sahara Africa in Accra, Ghana. Business Hilights recalls that since President Muhammadu Buhari took over power on May 29, 2015, Nigeria’s debt has increased by over N10 trillion. The debt profile now stands at about N22 trillion or $73 billion. Only recently, the Director General of Debt Management Office (DMO), Ms. Patience Oniha infromed members of the National Assembly that as of September 2017, the debt stock for both the federal and state governments had risen to over N20.373 trillion. Analysts recall that at the World Bank/International Monetary Fund annual meetings in Washington DC, last October, both the World Bank and IMF raised the issue of Nigeria’s rising debt profile, warning that should there be a slump in the price of crude oil, Nigeria’s main foreign exchange earner; the consequences might be devastating on the economy.